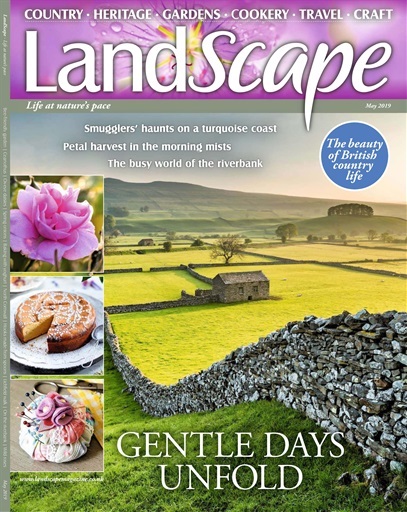 (0 Customer Reviews) | Write Review 12 issues per year LandScape magazine, carrying the strapline ‘Life at nature’s pace’, takes inspiration from the UK’s growing seasons. Every two months LandScape will celebrate the joy of the garden, simple seasonal kitchen food, traditional British crafts and the wonder of nature and the countryside. The magazine is a haven from the pressures of modern living; a chance to slow down and a reminder of the good things in life. Each issue delivers a wealth of information in an easy-to-read style, with simple layouts and an expansive page allocation for each subject, illustrated with beautiful images. Each subject flows into the next in a natural way to create a slow pace and a feeling of calm and relaxation. Our philosophy is to provide a relaxing and informative read. It is a reinforcement of traditional values, a reminder of things that perhaps have been forgotten, an inspiration for the readers' homes, gardens and leisure time, and an opportunity to learn new things. 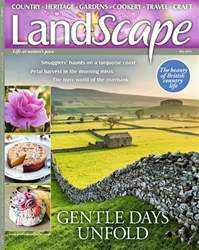 Looking for LandScape in print? 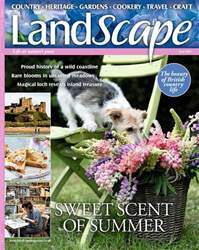 Unfortunately pocketmags.com does not sell print copies of LandScape, but all is not lost. Our partner at magazine.co.uk sells print subscriptions at the best prices online. 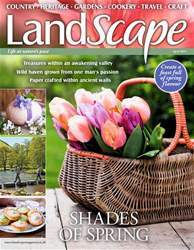 LandScape magazine, carrying the strapline ‘Life at nature’s pace’, takes inspiration from the UK’s growing seasons. Every two months LandScape will celebrate the joy of the garden, simple seasonal kitchen food, traditional British crafts and the wonder of nature and the countryside. The magazine is a haven from the pressures of modern living; a chance to slow down and a reminder of the good things in life. Each issue delivers a wealth of information in an easy-to-read style, with simple layouts and an expansive page allocation for each subject, illustrated with beautiful images. You'll receive 12 issues during a 1 year LandScape magazine subscription. You'll receive 12 issues during a 1 year LandScape magazine print subscription.